North Shore Kid and Family Fun in Massachusetts for North Shore Children, Families, Events, Activities Calendar Resource Guide | Explore the North Shore of Boston and Massachusetts! At Brookwood, kids come first—not the test, not trophies, not to-do lists. We know how kids learn best. Every day, we use our expertise to challenge kids intellectually and ensure they feel valued so that they can grow into their best selves. Cuvilly Arts & Earth Center has promoted environmental education and sustainability since 1983. Located in Ipswich, Mass., Cuvilly operates a farm-based pre-school and kindergarten and summer programs as well as an alternative energy site. At Fairwind Learning Center we believe in respecting children as individuals. We strive to create a nurturing environment where children feel supported, develop a love of learning, and reach their full potential. 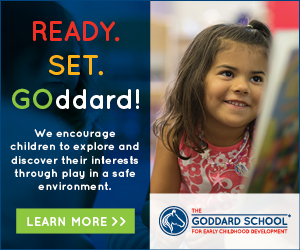 The Goddard School uses the most current, academically endorsed methods to ensure that children have fun while learning the skills they need for long-term success in school and in life. Goddard's talented teachers collaborate with parents to nurture children into respectful, confident and joyful learners. 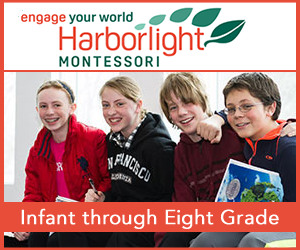 Harborlight Montessori School is a vibrant learning community that fosters the critical skills children need to thrive in our increasingly complex world. Our students are adept at solving problems, thinking critically, working independently and collaborating with others. Music Together® of the North Shore is a research based music & movement program for infants, toddlers, preschoolers, and the grown-ups who love them. Music Together® classes make it easy for parents/primary caregivers to play a crucial role in activating thier child's music development. 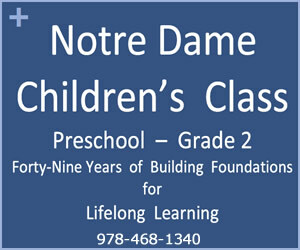 Notre Dame Children's Class in Wenham, invites children and families from the North Shore of Boston to take a personal tour by appointment on Tuesday or Thursday mornings. Discover the engaged community, explore the campus and experience NDCC first hand. At Shore, students are taught from an early age to embrace the joy in learning while challenging themselves to reach ever higher goals both academically and personally. 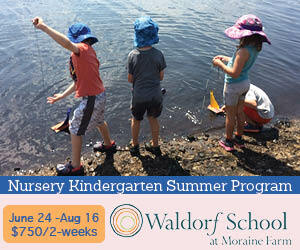 Shore encourages children to develop, expand, and have fun with their exceptional intelligence and abilities.